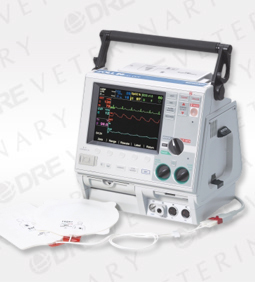 Select Zoll M Series Defibrillators are available new or professionally refurbished. Please contact DRE for details. Zoll M Series defibrillators offer a family of products to meet your clinical needs from BLS to ACLS. 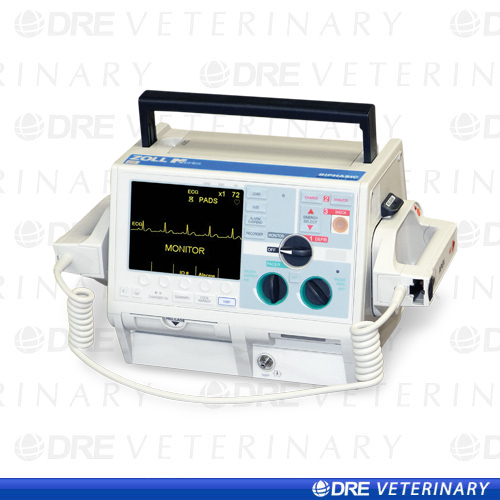 Products range from AED and advisory defibrillators to manual units and Critical CareTransport (CCT). Thanks to the consistency built into each and every unit, you train once and use everywhere. Standardization has never been so easy. The smallest, lightest, brightest unit in its class makes for easy handling and optimal viewing while the built-in AC power and battery charger doesn’t add size or weight. The Zoll Uniform Operating System features consistent, straight forward controls; intuitive menus lessen training costs, minimize operator confusion, and reduce the chance for error. Zoll proprietary Rectilinear BiphasicTM waveform with its lower energy and current and the 40-msec Rectilinear Pacing waveform provides superior efficacy while optimizing patient safety. Zoll's patented external Pacing offers superior capture at lower mean thresholds, reducing muscle artifact and ensuring more patient comfort and better patient tolerance. Offers event documentation via internal memory, as well as removable PCMIA cards for easy data transfer and archiving. Coupled with CodeNet, Zoll’s unique PDA-based data management system, the M Series communication capability makes record keeping a breeze. The M series has RS232 data transfer capabilities. A wide variety of electrodes and paddles are designed to meet your every need, and pre-connection capability and common connectors help reduce stress in critical situations. M Series upgrades provide maximum performance and flexibility in every product with add-ons designed to perform to your exacting standards. 12-Lead ECG is available in standard analog for fax transmission or digitally for real-time transition with virtually any available communication technology. Pulse Oximetry / SpO2 uses Masimo SET® signal processing technology for accurate measurements in the presence of motion, high ambient light and low perfusion and when pacing. EtCO2 features Respironics Novametrix End Tidal CO2 monitoring with interchangeable mainstream or sidestream sensor options to accommodate all patients. Non-invasive Blood Pressure (NIBP) offers single, stat, or fully automated functions for optimal patient assessment no matter the circumstances. Invasive Blood Pressure (IBP) is also available.